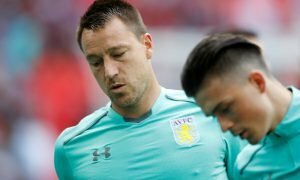 Aston Villa boss fires warning at players | The Transfer Tavern | Where football transfer rumours fly or die! Aston Villa fans playing pool in The Transfer Tavern are discussing comments made by their manager about the way the players should conduct themselves over the festive season. The Daily Star is reporting that Remi Garde wants the players to remain professional over the Christmas period, and not be caught out partying whilst the club faces the serious threat of relegation from the Premier League at the end of the season. The manager does not want his players creating their own problems like current first team player Jack Grealish, whose constant bad press and party lifestyle has seen him omitted from the squad for the club’s last two fixtures. Speaking about what he expects from his players over Christmas, Garde said: “Of course it’s party time – but not for us and that’s it. “It’s not only a case of don’t mess with me. We are playing games and have a tough job to do. “We are not kids and we need to be 100 per cent focused. 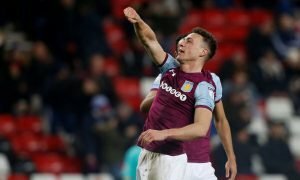 The Aston Villa fans here inside the Transfer Tavern are hopeful that the players take notice of their manager’s word and want to see the players fully focused on the job, of getting their club away from the threat of relegation. Our landlord completely agrees with the words of Remi Garde, and feels professional footballers need to set an example, no natter how old you are! Aston Villa fans…… What do you make of this? Do you agree with Garde’s words? Let us know below!